In an earlier post, we highlighted the way that Helvetica has taken over the world as one of the most ubiquitous typefaces, to the extent that it has become almost invisible. Another font that is so widely used that one barely notices it, is Johnston or Johnston Sans – the font used on the London Underground. Originally called “Underground” it was also known as “Johnston’s Railway Type” before becoming best known by its simpler title. Edward Johnston had trained to be a doctor before settling into typography and his work was a huge influence on Eric Gill, whose Gill Sans Serif (pictured right) created in 1928, is a classic font in its own right. 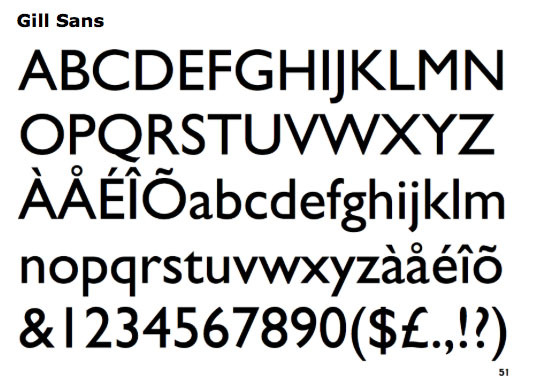 It is an often-repeated urban myth that the font used on London Underground is Gill Sans. It isn’t but Gill (pictured above) always acknowledged that he owed Johnston a tremendous debt.